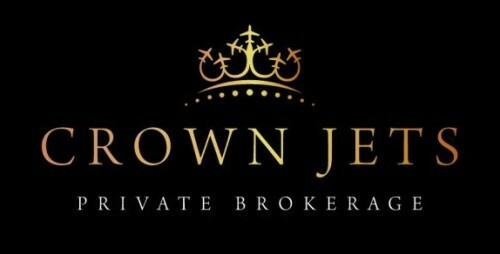 Brand New Award Jubilations at Design Inc.
Design Inc has been awarded Silver in the coveted Brands of The World Awards for creating a new logo for Private Jet Charter Brokerage, Crown Jets. The brand was created by Creative Director, Paul Munday. According to Paul, ‘It is always the icing on the cake to be recognised by your peers – and in this case on the international agency stage’. 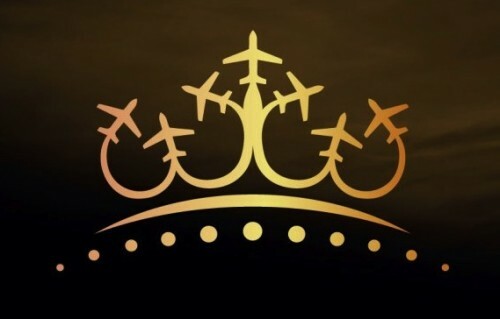 Paul continues, ‘the brand combines a curved horizon with a stylised crown and instantly positions Crown Jets at the boutique end of the jet charter business. At the recent Aviation Supper Club event held at The Aviator Hotel in TAG Farnborough Airport, Crown Jets founder and MD Jodie Packham was heard to comment that her new logo and branded website was continuing to completely support her business proposition of providing the highest levels of individual and personal client service. This success in the Travel and Tourism Category comes in the wake of our two recent clients’ wins in the Meetings Industry Marketing Awards (MIMA). Does this hat trick mean we at Design Inc are on a bit of a roll? Jet Charter and venue marketing are two of our areas of specialism where we have developed a niche and work for several key players. This brand new Award is nice as it rewards visual style – so we have now been credited for our strategy, creativity and technology delivery in these wins. Design Inc UK is a West London-based Brand Agency. If you’re considering a new brand or re-branding, please contact us by calling 01784 410380 or emailing us to find out more. View our Branding portfolio here.